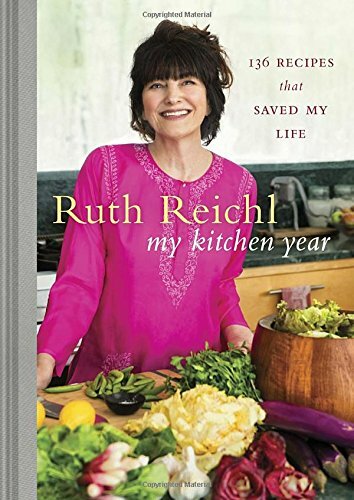 Ruth Reichl began writing about food in 1972, when she published Mmmmm: A Feastiary. She moved to Berkeley, California in 1973, and became co-owner and cook at The Swallow Restaurant. In1978, she became restaurant critic for New West and California magazines, and went on to be the restaurant critic and food editor of the Los Angeles Times. From 1993 to 1999, she served as restaurant critic for The New York Times. In 1999, she moved to Gourmet Magazine, where she was Editor in Chief for 10 years. She has authored four memoirs, Tender at the Bone, Comfort Me with Apples, Garlic and Sapphires, and For You, Mom, Finally. Her novel, Delicious!, was published in 2014, and her cookbook, My Kitchen Year: 136 Recipes that Saved My Life in 2015. She edited The Modern Library Food Series, which currently includes 10 books. She was Executive Producer and host of the public television series Adventures with Ruth and a judge on Top Chef Masters. She is the recipient of six James Beard Awards. At the moment she is at work on a memoir of the Gourmet years and another novel, both to be published by Random House.